Karl Lagerfeld & Blake Lively: The designer and the face of Chanel's "Mademoiselle" handbag line. After much anticipation and speculation, the lovely Blake Lively has finally been announced as an official ambassador for Chanel, as the face of the house’s “Mademoiselle” handbag line. The announcement caps off a stellar run for Lively, who has come into her own stylewise throughout the past year. Her self-styled fashion moves have earnt her very public nods of approval from Karl Lagerfeld and Anna Wintour, two of fashion’s most discerning critics, landed her prize position in the front row for top runway shows during fashion week in Paris and New York, and earnt her the highly coveted mantle, Vogue’s Best Dressed, 2010. The official “Mademoiselle” range campaign will be launched mid-March of this year. According to Chanel, it is Lively’s “spontaneity and fresh, youthful image” that prompted Lagerfeld to hand pick her to front the campaign, which has was shot by Lagerfeld himself. The heavenly partnership between Hollywood’s hottest and chicest young bombshell and the premier (and my absolute personal favourite) fashion house has astute fashion fans awaiting the forthcoming campaign with bated breath and pulses racing. 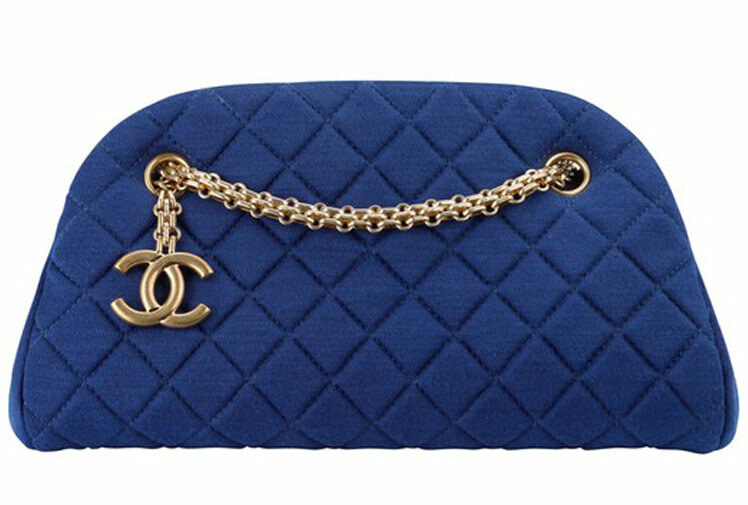 Chanel's "Mademoiselle". Ahh, one please! ~ by threadlust on January 17, 2011.